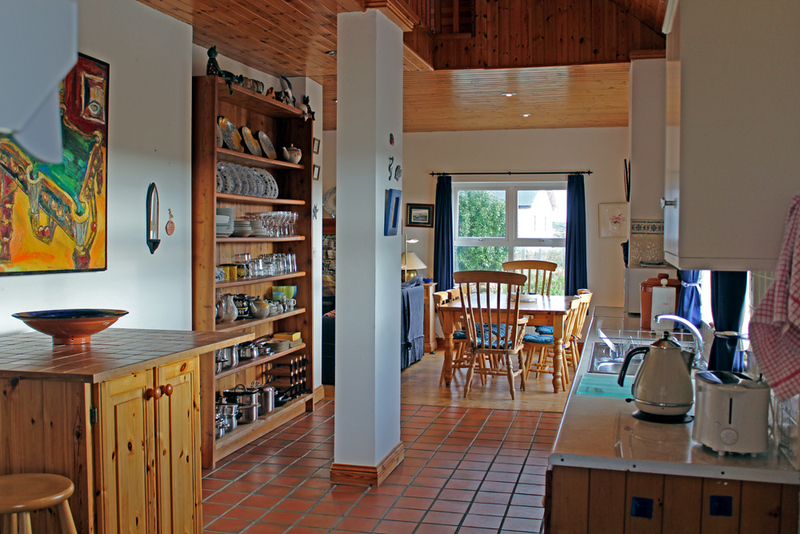 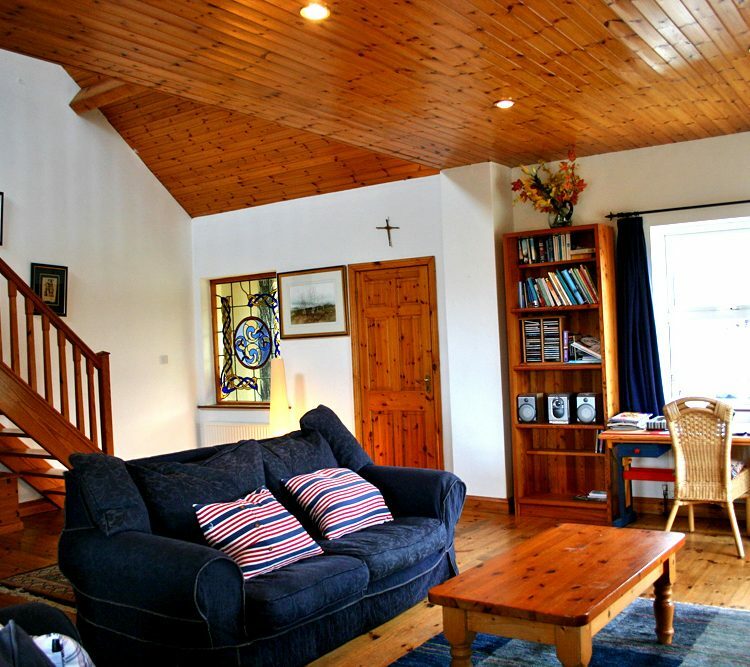 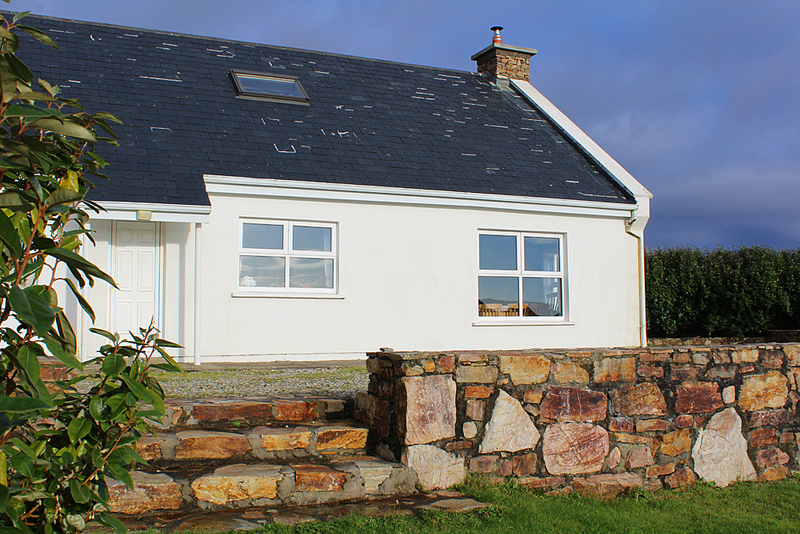 The cottage: Amazing bungalow overlooks Ballafadda Lake. 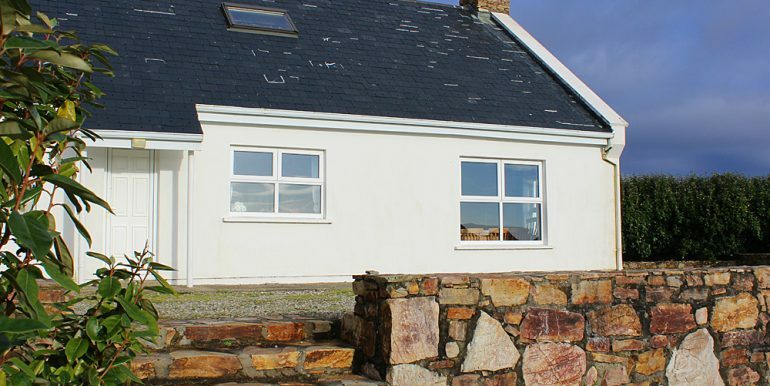 It is an easy stroll from the Coral Strand beach, and close to the many other beaches in the Ballyconneely area. 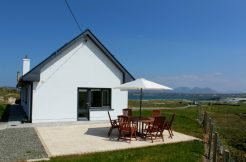 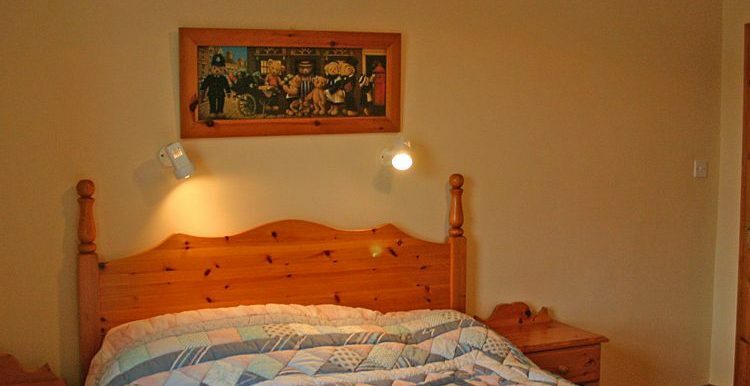 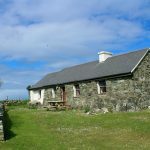 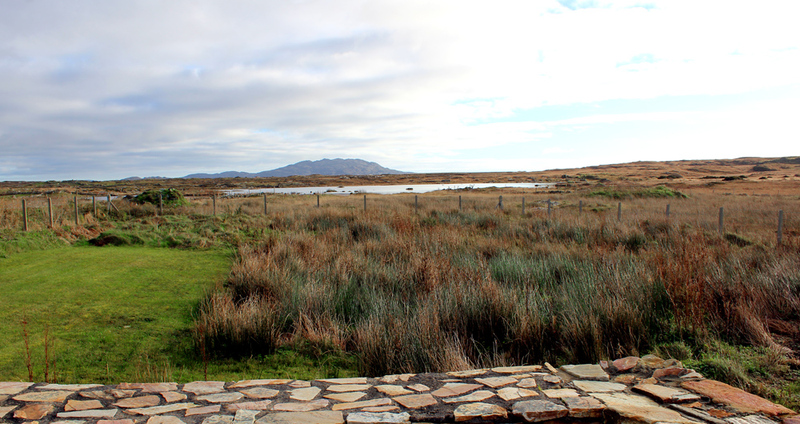 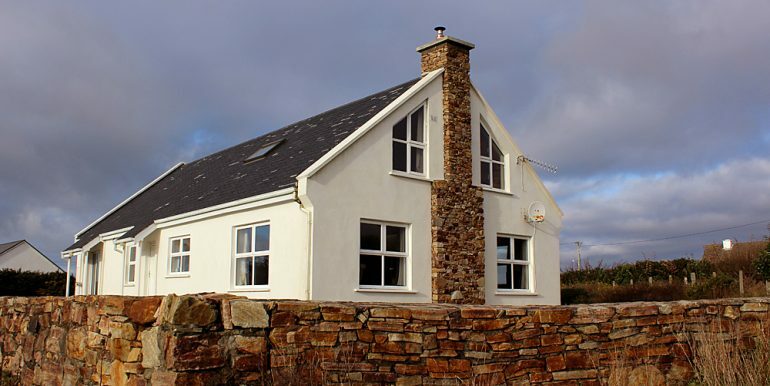 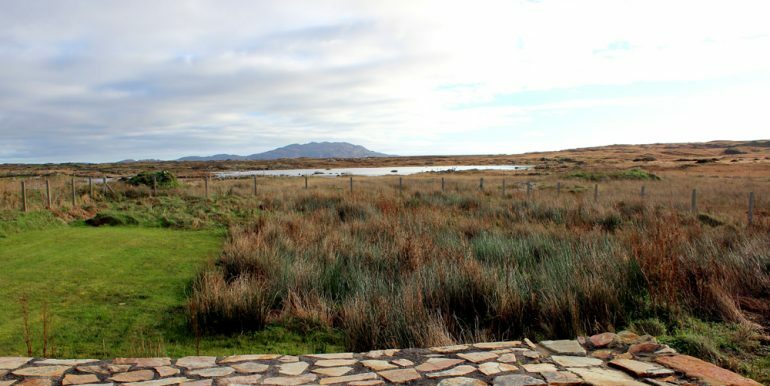 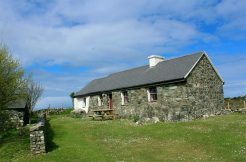 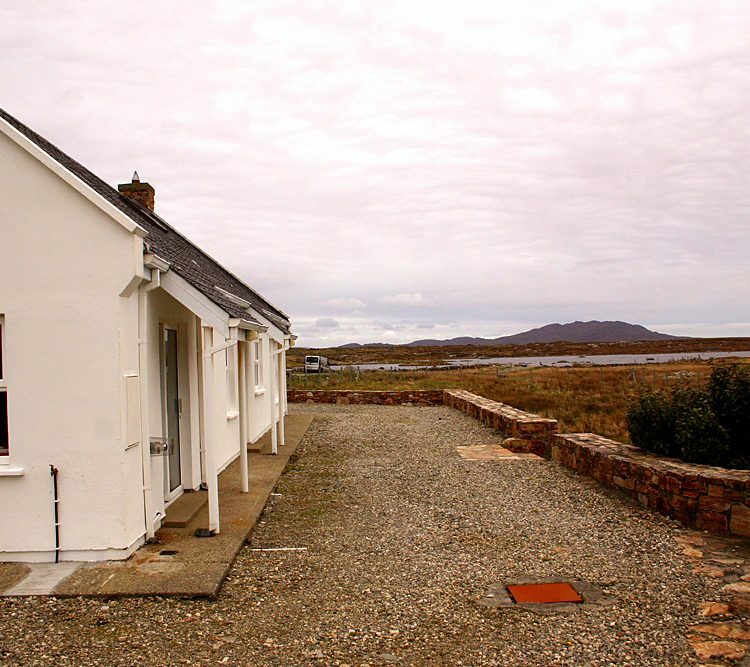 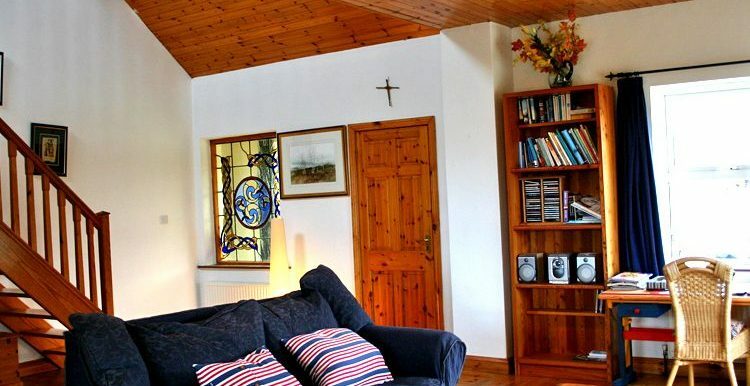 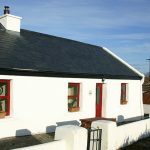 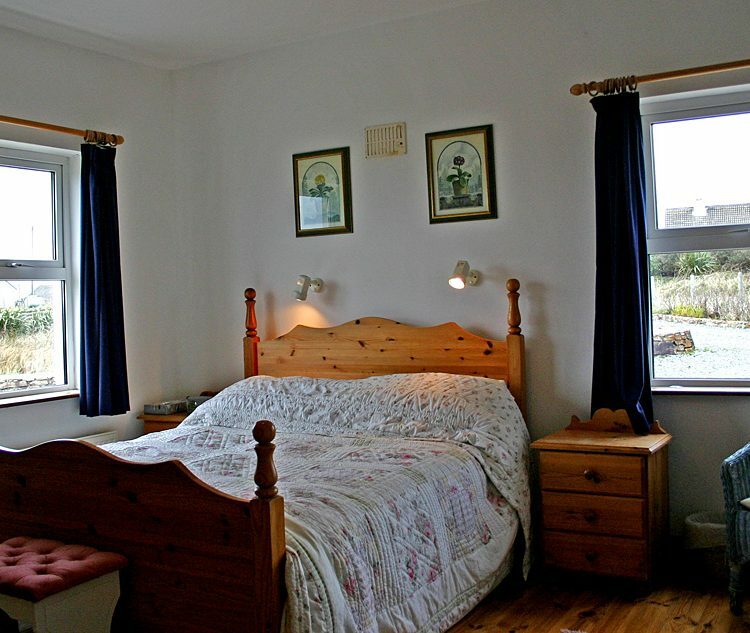 This property is in a very popular area close to Wild Atlantic Way and is not too far from Clifden or Roundstone or Ballyconneely village where you will find a PO, pub and shops. 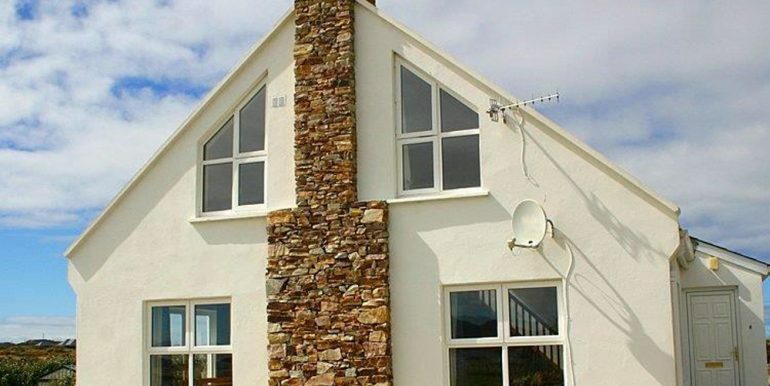 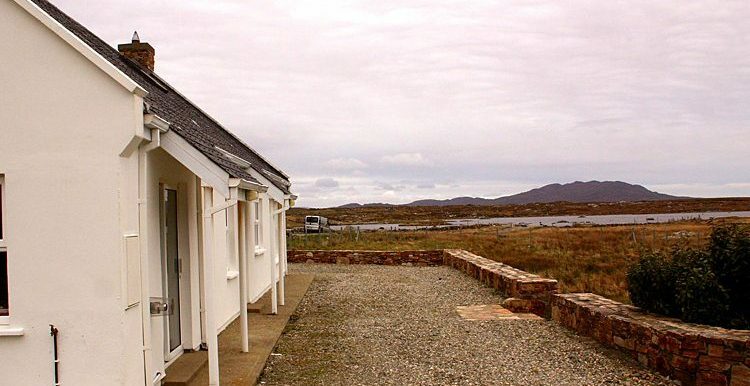 If you want an evening out you could pop down to the Connemara Sands Hotel and enjoy sitting in the sun looking over Mannin Bay whilst sipping your favorite cocktail. 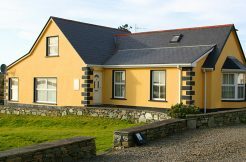 Clifden is close and makes a great night out listening to traditional music in Lowry’s or go and see a film at the station house. 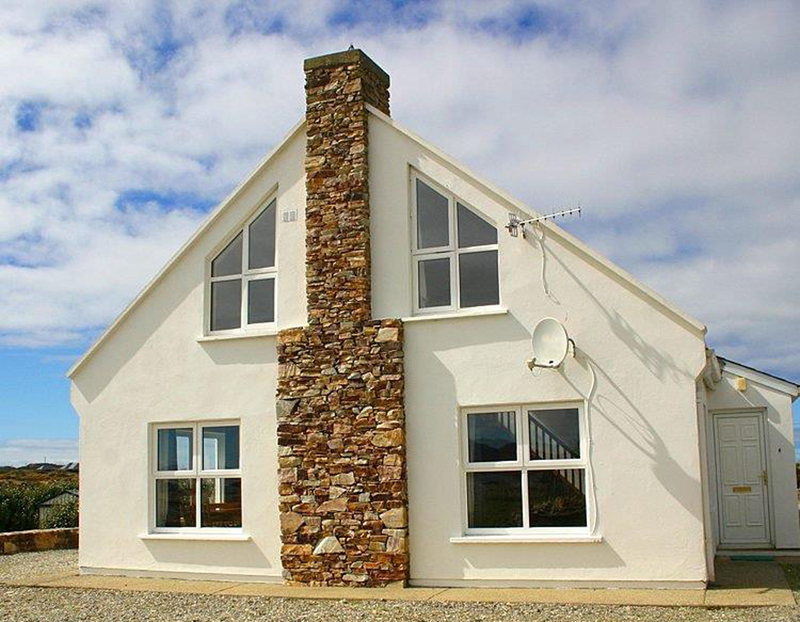 Horse riding golf, sailing and other amenities are close by, and there is lots of sea and lake fishing in the immediate area.This house has a very peaceful setting, it has a delightful garden at the back of the house with stone walls and an area to sit out in. 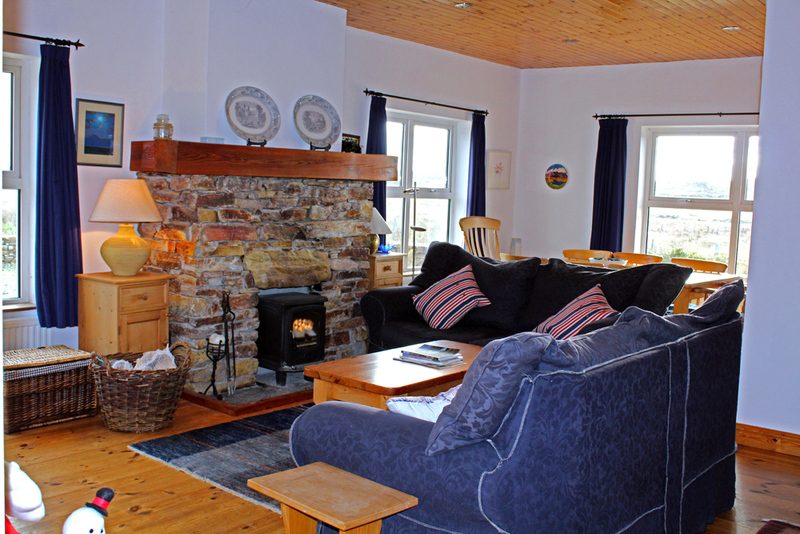 Inside: As you enter the front door there is an open plan lounge area with a woodburning stove and picture windows and a television which is a great place to relax. 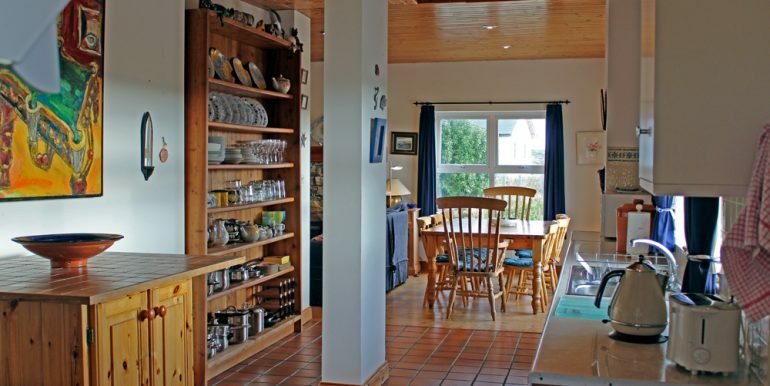 Immediately off this area is the galley style kitchen which is equipped with absolutely everything that you could need and more. 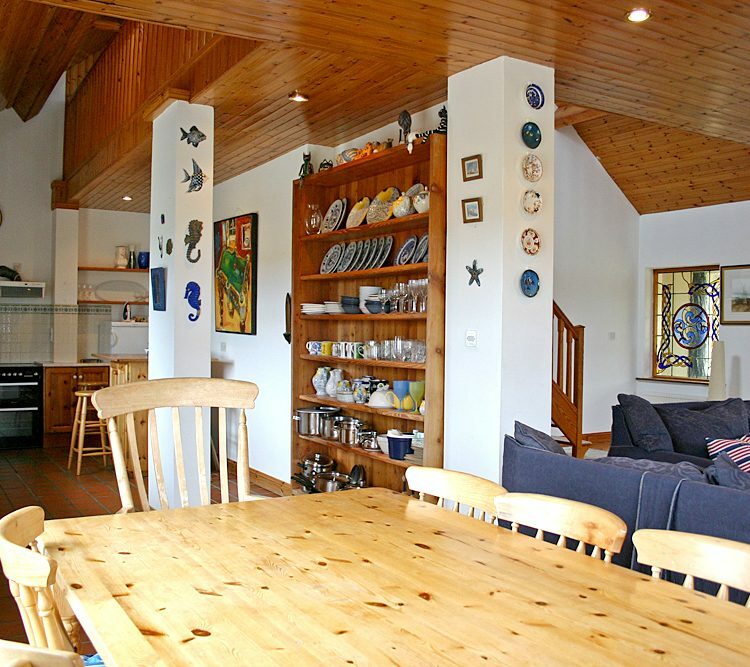 A very large utility area is next to the kitchen with a washing machine, tumble dryer and a drying area for wet outdoor gear. 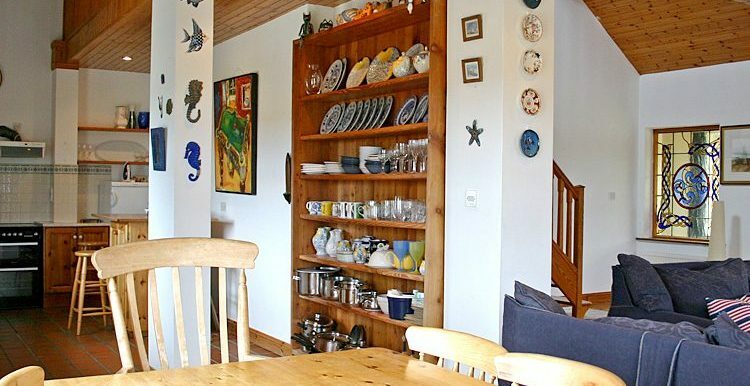 There is enough room here for bicycles and pets. 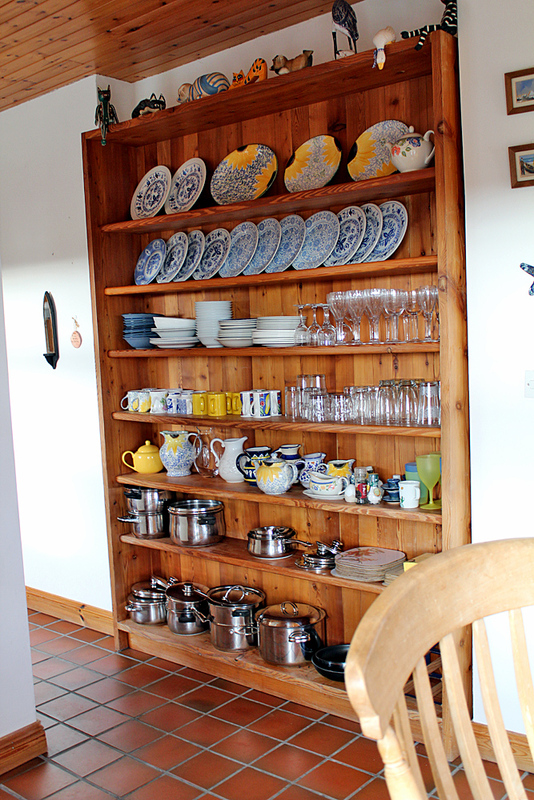 There are double doors into the garden from here. 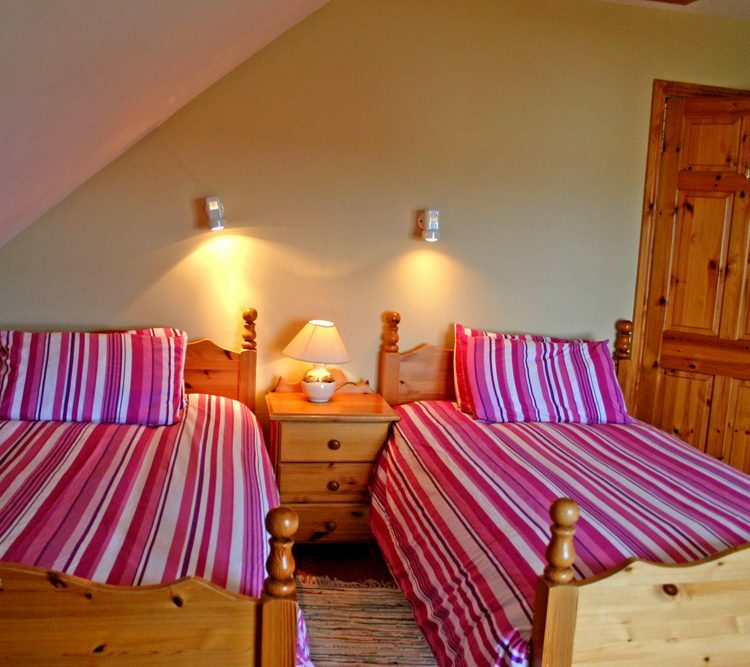 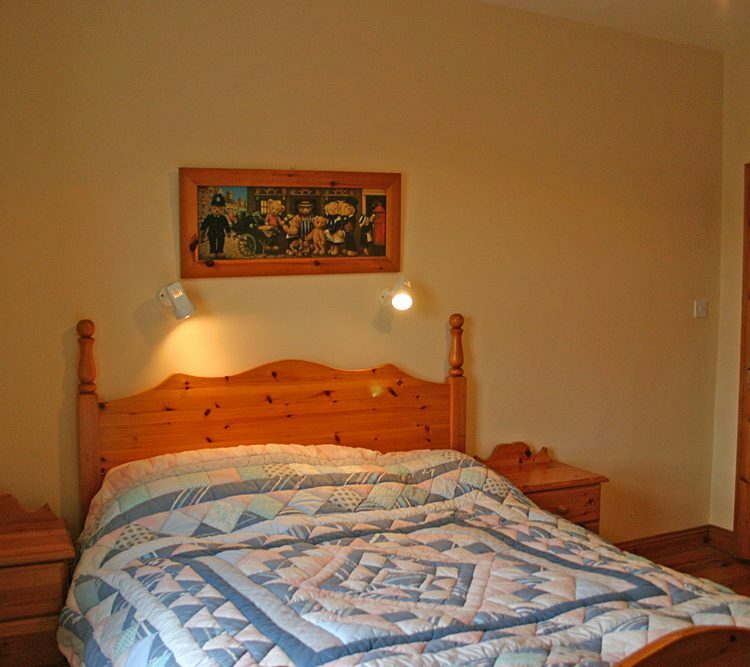 Also downstairs are two double ensuite bedrooms. 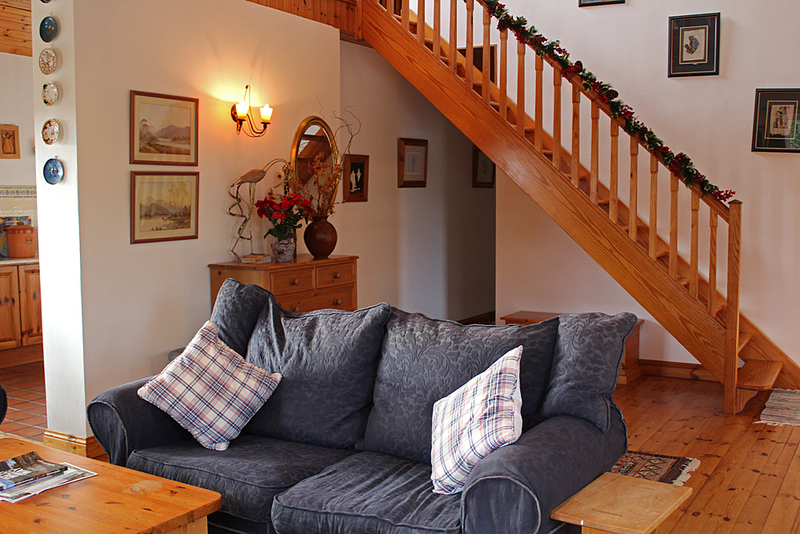 From the comfortable lounge area with a smart TV there is a staircase leading up to another large lounge area with great views over the surrounding countryside. 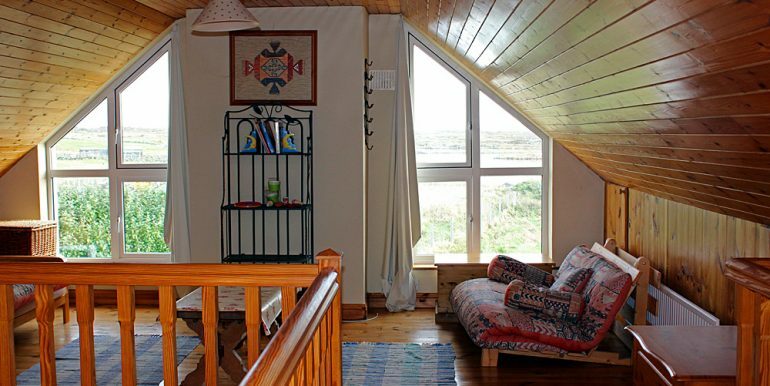 This area is perfect for the children to escape from the adults and read or play. 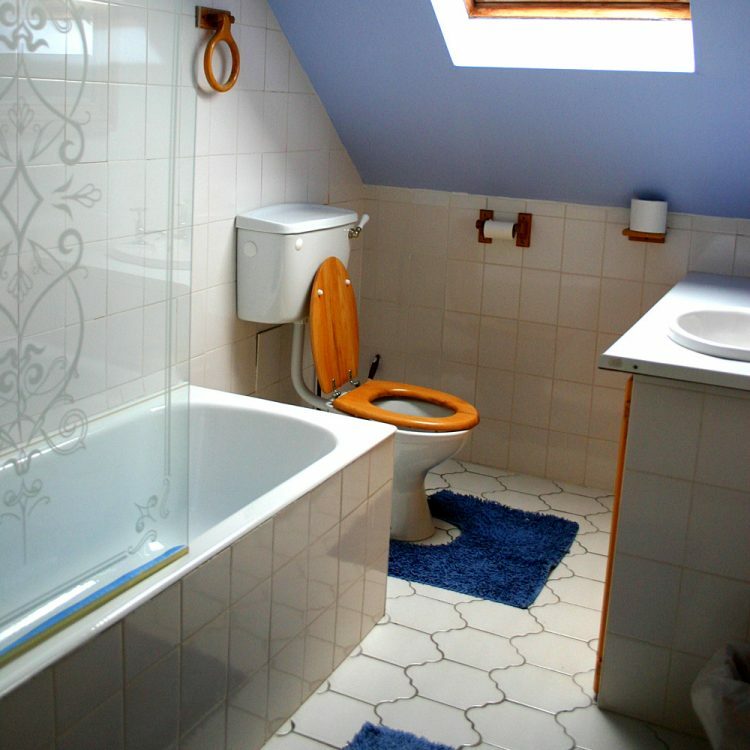 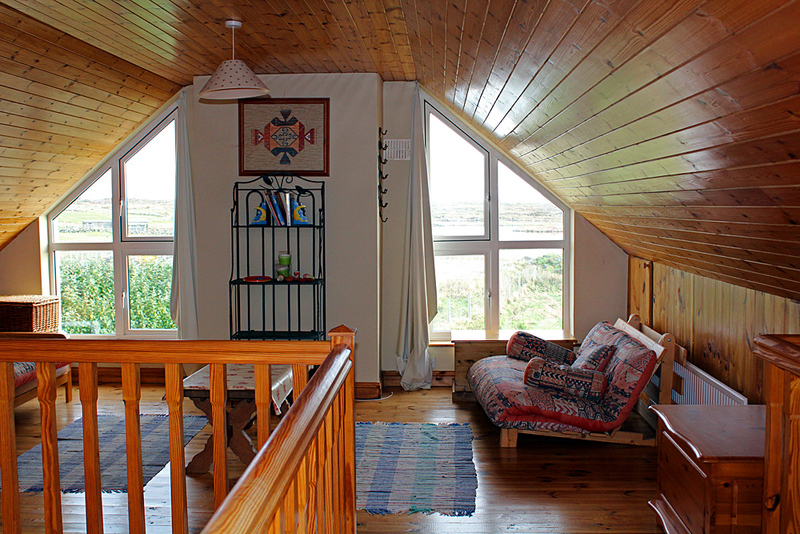 Also upstairs is a double bedroom with velux windows, a bathroom with a shower over the bath and a room with three single beds. 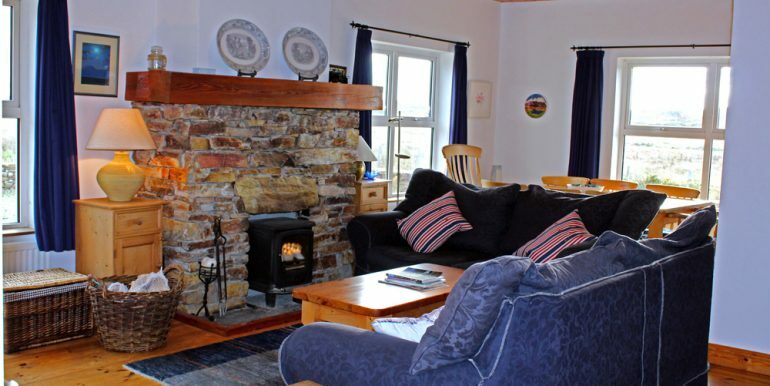 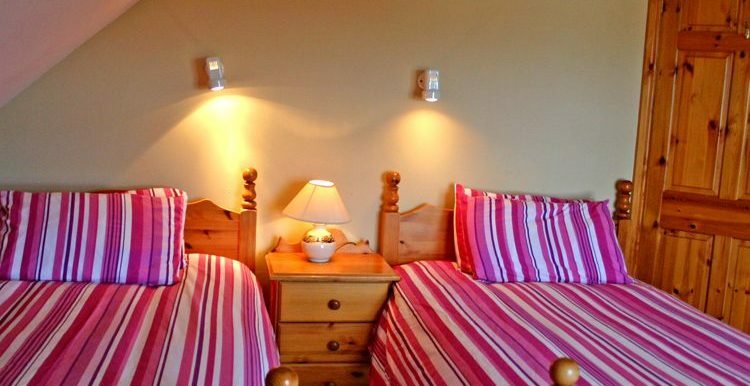 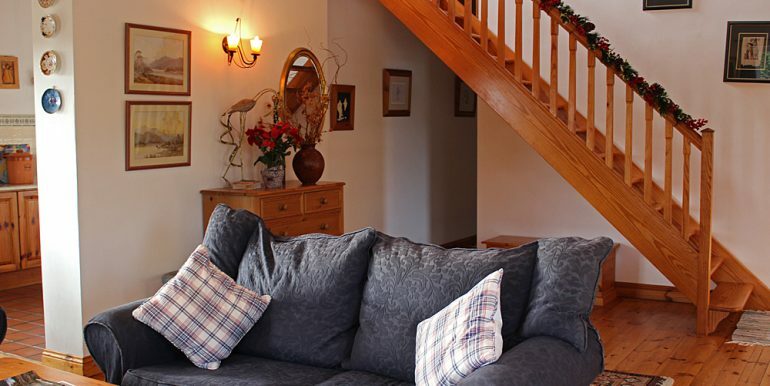 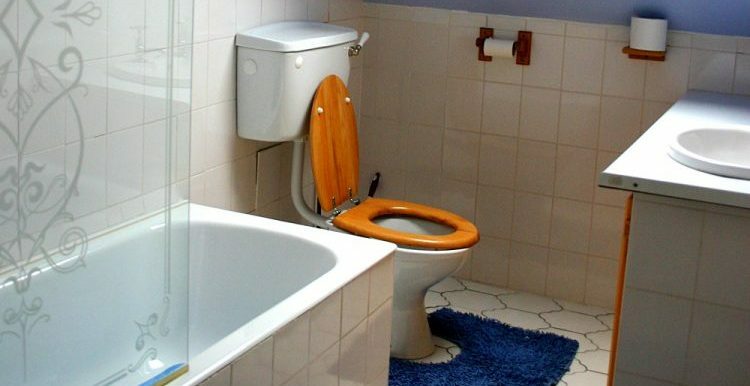 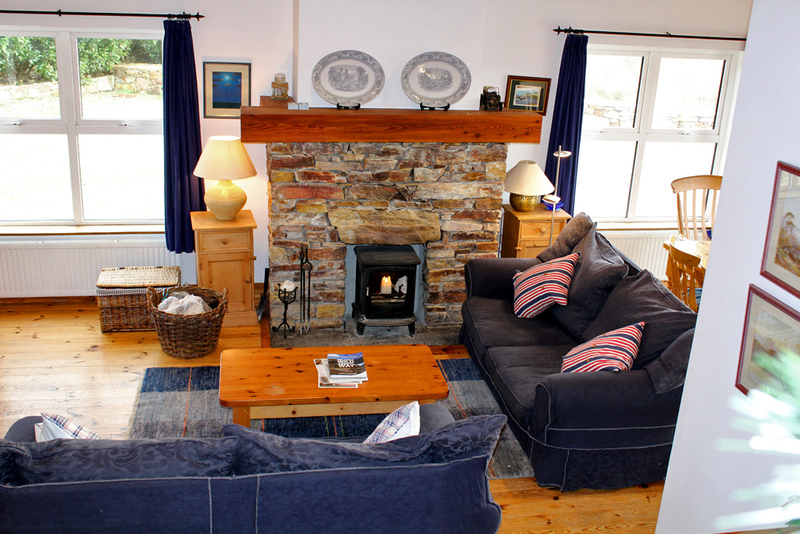 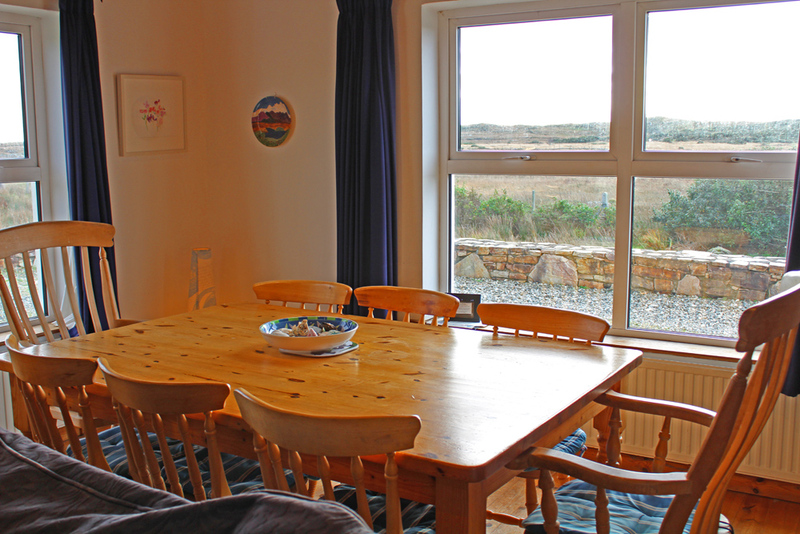 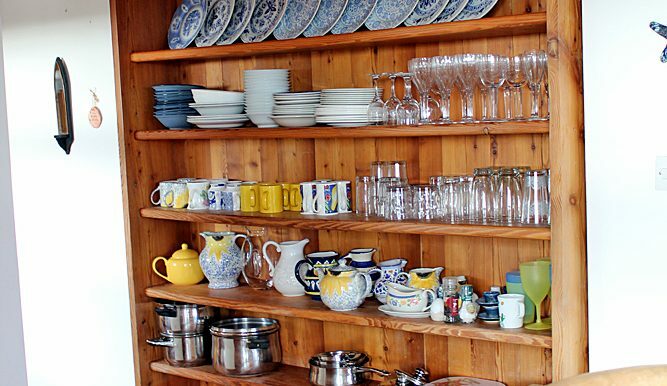 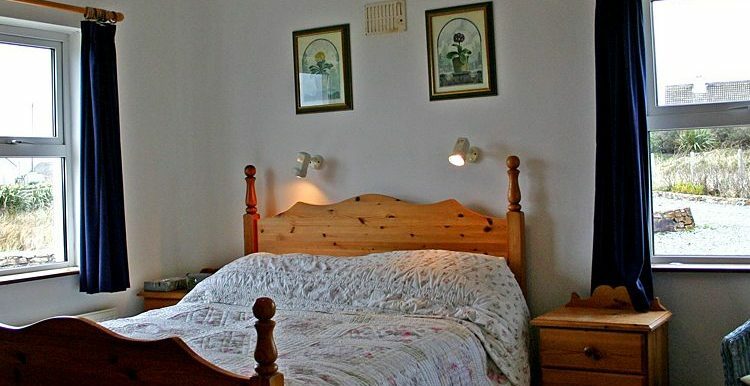 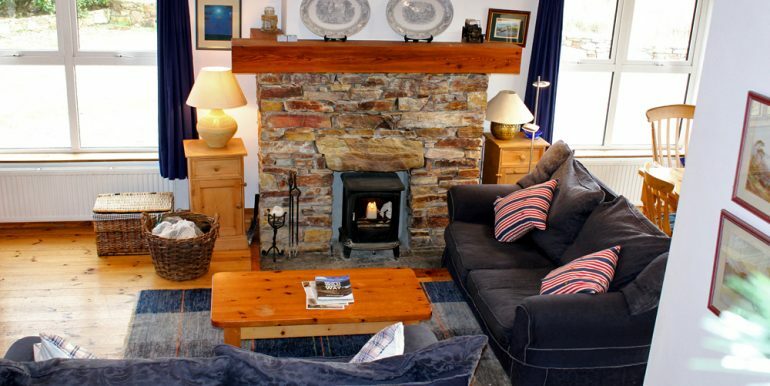 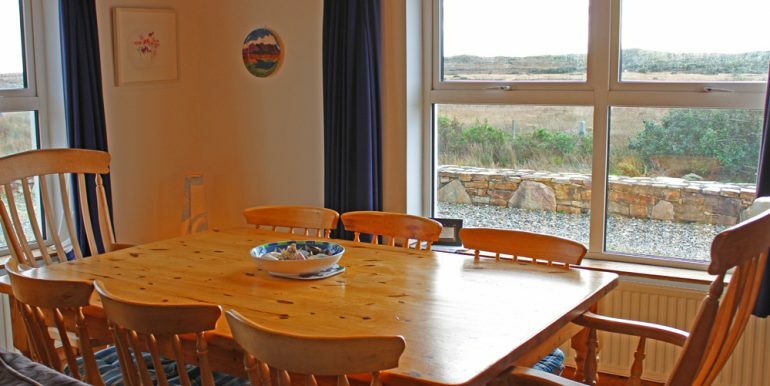 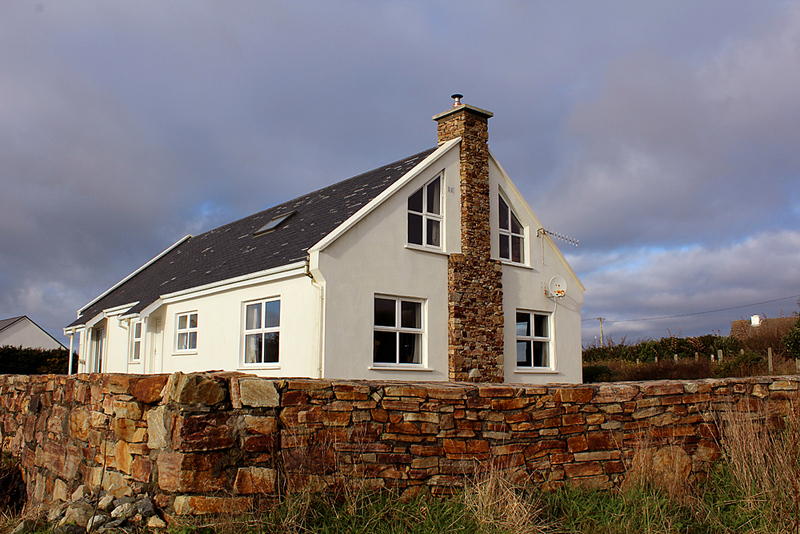 The house sleeps 9 in total – 3 doubles and a triple room.